This book is a collaboration between myself and author Jonathan J. Moore, and is published by New Holland. "Young people have a tremendous appetite for the gruesome, scary and downright freaky. However, the material has to be presented in a humorous manner that while, still absolutely fascinating, won’t scare the kids (or their parents) away. Each chapter is between 2000 and 3000 thousand words long and includes a cover piece with illustration and title followed by the text and a selection of at least five brilliant images produced by Kate intermixed with light hearted captions. Despite the rather gruesome material it is presented with a positive moral message and material in poor taste is avoided." I contributed a portrait of indigenous activist Mum Shirl to this book, with all proceeds going to The Smith Family. "Shout-outs to 50 awesome Australian women with easy-to-read biographies of their incredible achievements. 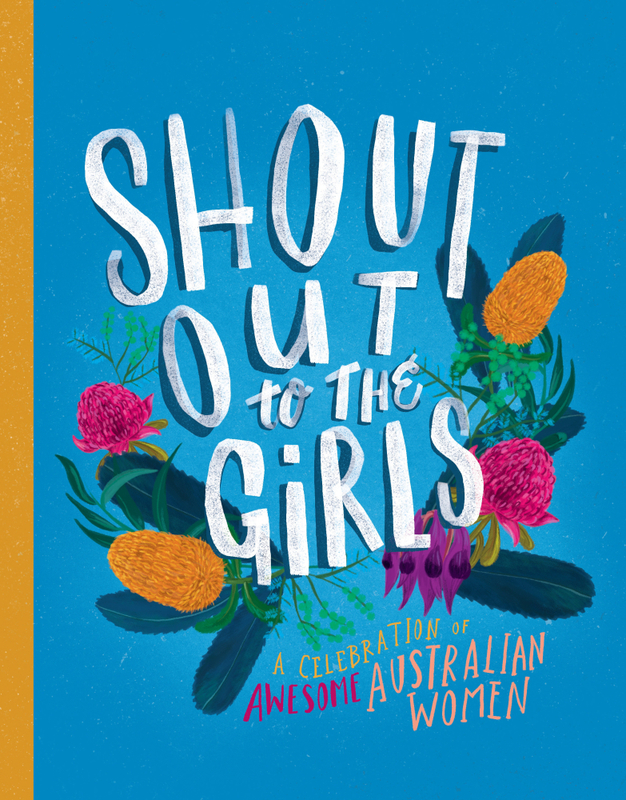 From Cathy Freeman to Turia Pitt, Edith Cowan to Julia Gillard, Mum Shirl to Vali Myers, plus rally car drivers, molecular biologists and more, this book is a celebration of women in all fields, from all walks of life, and from Australia’s past and present. Brought to life by colourful illustrations from female artists, Shout Out to the Girls is the ultimate inspirational read for young and old."